If you want 100% market value for your property, without the uncertainty and delays of estate agents, talk to us. We determine a realistic sale price for your property in its current condition and today’s market. We agree a lower starting ‘Offers Over’ price that will attract the most interest. We provide unbeatable marketing for your property by listing with all the major property portals such as Rightmove, Zoopla and Prime Location AND by also listing with the best local estate agents to ensure you do not miss any local buyers who pay the best prices. The combination of the attractive ‘Offers Over’ pricing and our unbeatable marketing exposure ensures maximum buyer awareness and competition for your property. Interested parties compete with each other over 28 day’s timescale to make their best offer on your property and our diligent processes ensure all buyers are chain free and their offers are reliable and cannot be withdrawn or reduced. Why Use National Residential Vs Other Quick Property Sales Companies? 7 Day House Purchase Fund Alternatively, if you need to sell your house immediately, simply call us with your property details, get a free instant online valuation and you could have the money from your house sale in your account just 7 days later, or in a timescale to suit you. House Purchase Fund. 7 Day Cash Purchase – with ZERO Fees. We simply make you an offer to buy your property for cash and if you accept the price, we pay all your legal fees. 28 Day Fixed Price Sale – with ZERO Fees. We agree a Fixed Price with you to include all your legal fees and any estate agency fees. We sell your property for a higher price to an investor who pays our fee and all your fees (including any fees for lease extensions). On completion you receive the agreed Fixed Price with no deductions for any fees whatsoever (apart from your mortgages of course!). Simply agree a Fixed Price with us that you are happy with and you can’t lose! 28 Day 100% MarketValue Sale – you pay your own fees. With our 3rd option, you set a minimum Reserve Price and our job is to beat it! Assuming we achieve or beat your Reserve Price, then we agree a sale and on completion, you pay all your own legal fees and you pay us a commission fee of 1.5% + VAT (min £2,000 incl VAT). From our commission we also pay the local estate agents fees. Simply set your Reserve Price to include our fee and you can’t lose! Call us on 01244 757152 (local rate, mobile friendly) or 0800 6123694 (Freephone) . One of our sales staff will be happy to help you immediately. 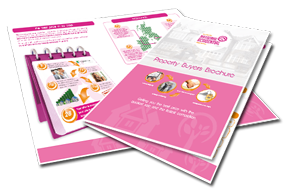 Alternatively, please download our free selling guide at the top of the page and if you like what you see, simply request more details and we will call you back. 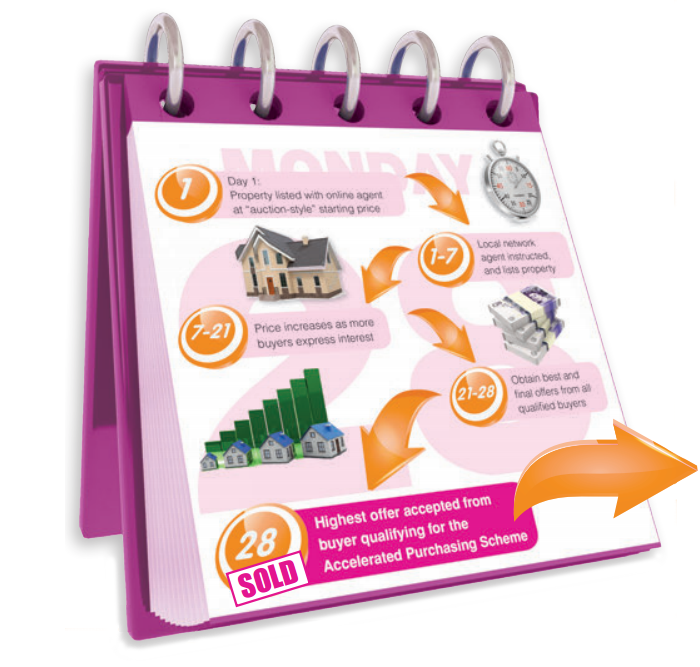 It takes an average of 78 days to sell and complete through National Residential and 200 days with a local estate agent. If you have 200 days to wait for a sale and are hoping for an unrealistic price, then use a local estate agent because you don’t need us! However, if you want the best possible price in just 78 days, then you simply can’t beat us! Estate agents tell you they will sell your property for a price far higher than they will eventually achieve in order to win your business over their competition. They rely on you sticking with them as they reduce the price until the eventually get a sale. This strategy is completely uninspiring and completions take 200 days on average when you could have achieved the same price with us within just 78 days! Most people know deep-down the high price promised by the estate agent is unrealistic but are enticed to go with it – after all there is just a chance it will sell for that high price, right? Wrong! Properties do not sell for unrealistic high prices and after no or few viewings over many months you become increasingly frustrated at not being able to sell and move on with your life. You eventually reach the point where you have to make a decision! Do I reduce the price? Do I change my estate agent? Or, do I call a ‘quick sale company’ because I am running out of time and I need a guaranteed quick-sale now? The risk for you now is making the wrong decision and either remaining on the market for many more months or selling your property under-value because you cannot afford any more delays. Tries to reduce the price just before completion! Rather than accepting this dreadful status-quo and experiencing these avoidable frustrations, there is a better way! National Residential will achieve the best possible price for you and in the quick timescales you require through our unique pricing strategy and processes. Furthermore, all our buyers have the proven funds to buy and we put in measures to ensure they complete within 28-56 days. Buyers also pay non-refundable deposits which they risk of losing if they pull out or try to reduce the price. National Residential therefore achieve Best Prices, Quickest Sales and Certain Completions – these are the main reasons why sellers opt for National Residential versus using a normal estate agent. Yes you will! We provide the perfect combination of online marketing technology with the very best local estate agents to generate the best prices, quickly for all our property sales. Firstly, we offer unbeatable national marketing exposure through advertising your property with Rightmove, Zoopla, National Press, and through marketing to our national investor database. Next, we work with the very best local estate agents to ensure that we also market to all the local buyers and investors who often pay the highest prices. Our local agents also conduct viewings and negotiate with buyers to help drive up prices quickly. We then manage all national buyers and local agent’s buyers through our market leading online-auction technology. Our technology ensures buyers can bid 24/7 and also generates maximum competition between buyers. The result is bids being driven upwards, fast! On its own, this fantastic combination of factors would not work as well without our utter determination to sell your property in just 28 days for the very best possible price. So, you can be reassured no one is working harder and smarter to get you the best price possible, quickly for your property. What makes you better than other online agents? Online agents rely solely on online marketing to attract buyers and therefore miss between 40-60% of local buyers. These are the buyers who are registered with local agents and who do not have the time or inclination to search for properties online. These are the local buyers who are desperate for local properties and who therefore pay the highest prices. How can you sell for the best price quickly if you are missing out on up to 60% of the best paying local buyers? We combine online marketing and technology with working with the very best local estate agents so we capture all these buyers and drive up bids quickly. Our experienced local estate agent conduct all viewings provide fantastic customer service to both buyers and sellers. Finally, we only give ourselves 28 days to sell your property whereas online agents sign sellers up on contracts they can’t get out of up for months! With our service, you have both ourselves and the best local agent working flat out to sell your property in just 28 days. If we don’t achieve the price you need in 28 days, we do not sell and we do not get paid. You will therefore not get a more motivated and formidable sales team on your side driving your sale! Yes they will and our results speak for themselves! All our buyers must be chain-free, have proven funds, pay deposits and sign contracts to complete within 56 days. You get none of this with estate agents nor with online agents! Our buyers pay non-refundable holding deposits and sign contracts to complete in 56 days. This means that if the pull out, delay completion or try to reduce their prices, they will lose their deposit and it is paid to you – the seller. So, although there are never any guarantees, if you want a quick sale for the best price with a certain fast completion, there is no better way than National Residential. Who will manage the viewings? We use the UK’s leading conveyancing solicitors who are experienced in achieving super-fast completions and providing the best customer service. You want a quick and guaranteed sale and the lowest cost legal fees so then why pay slow local solicitors high prices and receive a slow poor service because solicitors fail to perform? In our experience when buyers or sellers use their own solicitors a high proportion of these sales drag on or fail to complete at all because their solicitors are either ill-experienced under- motivated to prioritise our cases and to put the effort in to complete in the quick timescales buyers and sellers require. We are in the business of providing the highest possible service standards and achieving fast and certain completions for both our buyers and sellers. We only recommend the best solicitors in the UK because they have proven time and time again that they can complete sales quickly and because they provide buyers and sellers with the best experience and service standards possible and at the lowest prices. Our sales progression team provide the best service standards in our industry because we use super-efficient solicitors for both sides. This means both sellers and buyers benefit from a fast efficient service and avoid the costs, stress and delays of sales falling through.